We knew we wanted to get out of LA for the weekend. The question was… where? After all, we only had two days and didn’t want to spend the majority of that time only on driving. But then again, we also wanted the journey to be as fun as the destination, so anything within a 2-hour driving radius would likely be too close. We had already spent hours googling potential destinations the night before and woke up on Saturday excited but still not knowing where we wanted to go. The solution? Hop in the car anyway and start heading north, destination unknown. 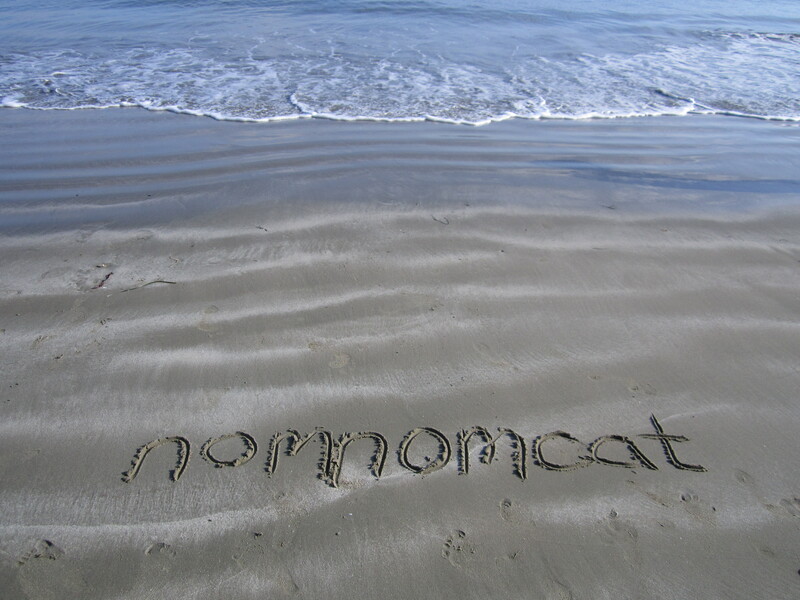 It turned out to be not only a great adventure but also a great source of inspiration for NomNomCat. I had been dreaming about aebleskivers and Martin had never been to Solvang, so we made that our first stop. Cruising past miles of farm land and grazing cows was already enough to make us feel like we had left home. Before long, we had entered the quaint little Danish town and, astonished by the abundant free parking, leisurely wandered from shop to shop. 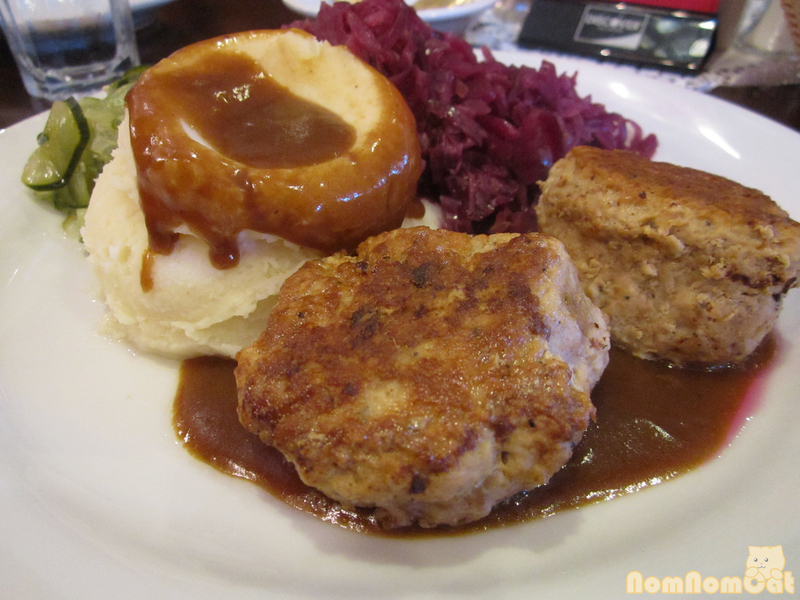 A knife shop, many little toy shops, book shops, the Hans Christian Andersen museum, a world-renowned Danish chocolatier… Finally we stopped for lunch at a place that supposedly has the most authentically Danish dishes on their menu. We can’t exactly judge said authenticity, but Bit O’ Denmark was certainly an improvement over the burgers & fries American fare at the other restaurants in the area. 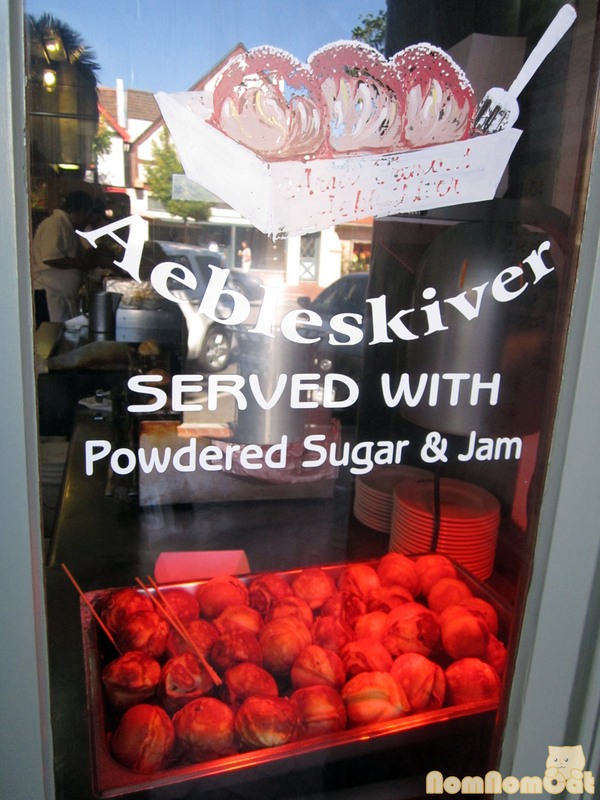 After sharing an entree of Danish meatballs, mashed potatoes, and red pickled cabbage, we made a beeline for the famous little shop window known as Arne’s for some scrumptious aebleskivers. 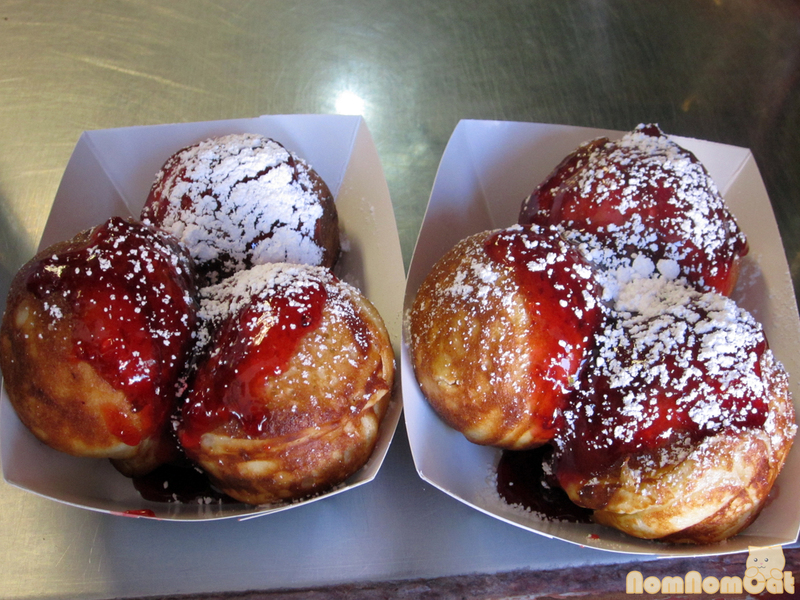 We each got our own order of three big pancake balls topped with homemade raspberry jam and a light dusting of powdered sugar. I had to share a bit of mine with an actual bee, who proceeded to voraciously drink the raspberry topping as though it were the last drops of nectar in the world. Still good! 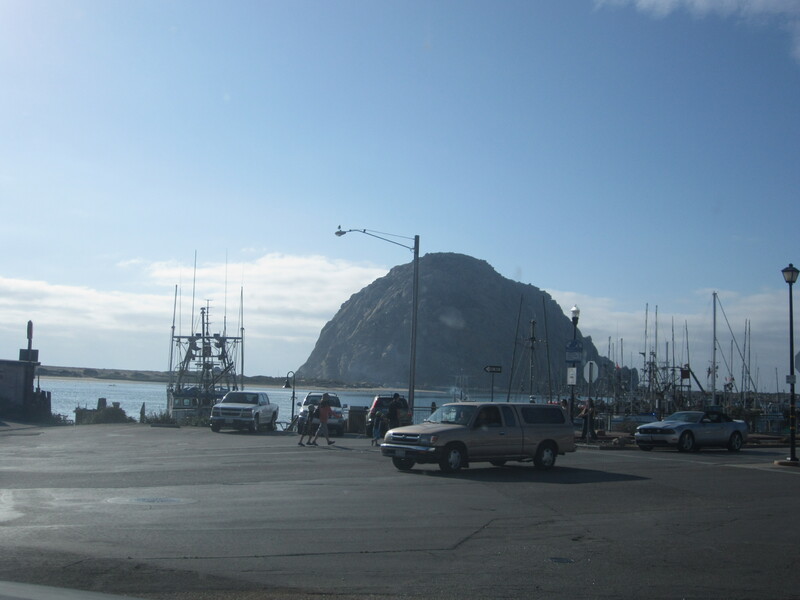 Our journey took us another two hours north along the 101 until we reached Morro Bay, an adorable little beach town with an iconic giant rock formation just off the coast. We didn’t even realize you could even drive right up to the rock itself by following Embarcadero Road until it dead-ended at a beautiful secluded beach. We did a bit of self-promotion just for the fun of it. After romping along the shoreline and curiously exploring tide pools like a pair of kids, we sought out housing and selected a place for dinner. A quick Yelp search came up with The Galley, arguably the best restaurant in Morro Bay! We enjoyed a pleasant meal and then moseyed on over to the Otter Rack Cafe, which becomes a full bar with live entertainment by night. They had a pair of entertainers – one with an acoustic-electric guitar and the other on the keyboard. In the early Halloween spirit, I ordered the spiced rum cider, served hot in a mug with a cinnamon stick and absolutely perfect for a cool autumn evening. 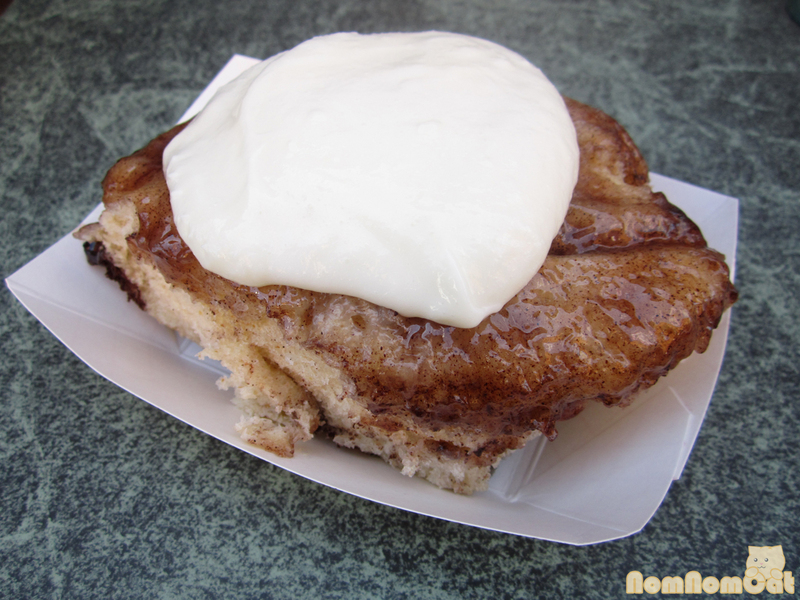 The next morning, we set off in search of breakfast and I recalled seeing a candy store that sold fresh cinnamon rolls. Crill’s II had a whole tray of these treats all ready to serve. I wish it had been warmed, but even cold it was still ooey gooey and delicious with the generous dollop of cream cheese icing. Eat your heart out, Cinnabon. All that sweetness was a bit overwhelming so we sought out a more hearty breakfast of eggs and bacon before hopping back on the 101 southbound. Not yet ready for our trip to be over, we ended up making quite a few stops along the way. In Nipomo, we found a swap meet just off the freeway. 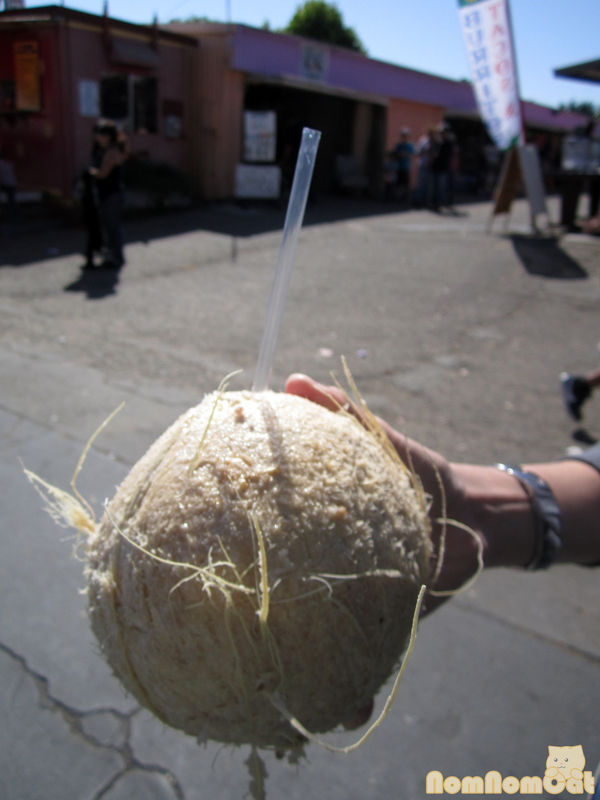 Wandering around the stalls with our freshly cut coconut in hand, we were pleasantly surprised to find such a thriving Latino community in this area. It made us feel like we were already back home in LA. We continued on, this time in search of olive oil tasting. We took a detour toward Los Olivos — certainly a town translated to The Olives would have olive oil tasting! A quick Yelp search pulled up Global Gardens and after sampling an assortment of their products, we had to bring home an oil and a vinegar of our own. The first time we drove on the 246, we saw a banner that advertised emu oil and ostrich eggs, so we took this opportunity to detour along the 246 again. 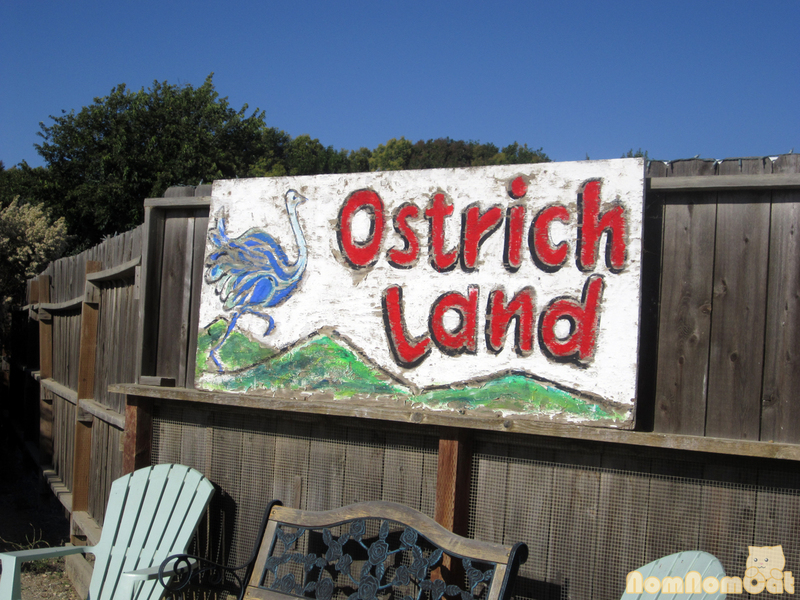 We soon found ourselves looking curiously up at a sign that simply read “Ostrichland”. Yes, my friends, Ostrichland. The Land of the Ostriches. When you walk through the front doors, there’s a little gift shop full of ostrich-related goodies, but the real treasure lies beyond the gates — once you pay the $4 “zoo” entrance fee, of course. I can’t believe kids are so excited to feed these things — they’re ferocious, they’re really tall, they’re voracious eaters, and honestly, they’re kinda scary. We were lucky to be there right when a friendly worker (volunteer?) 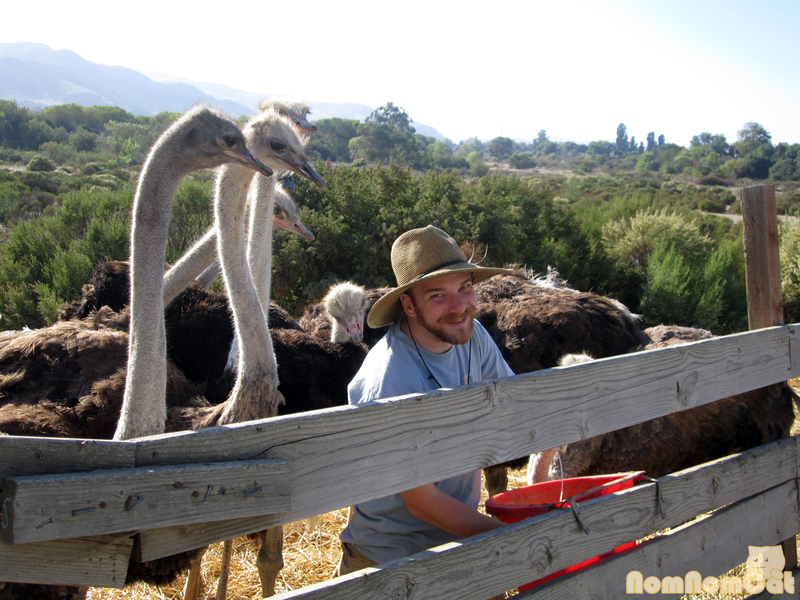 was reattaching the feed pails to the fences, and we were able to pick his brain about ostriches while the ostriches picked at his arms, hat, and nose. Eventually, we said our goodbyes and continued homeward bound. We thought our adventure was just about over when Martin saw an inviting sign — Pumpkin Patch Next Exit. 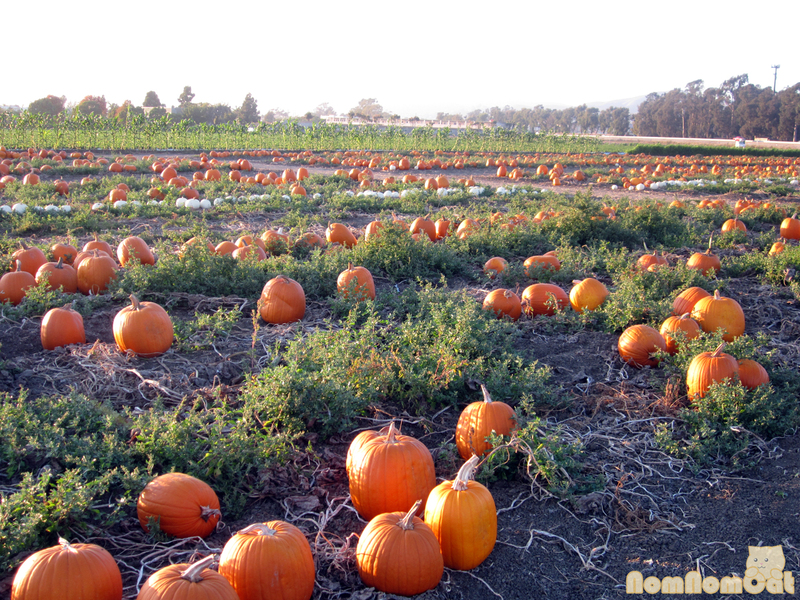 A pumpkin patch? What’s the big deal? They have them at random lots on street corners where they will, a few months from now, sell Christmas trees. But then we saw a farm, followed by a mesmerizing field of bright orange. 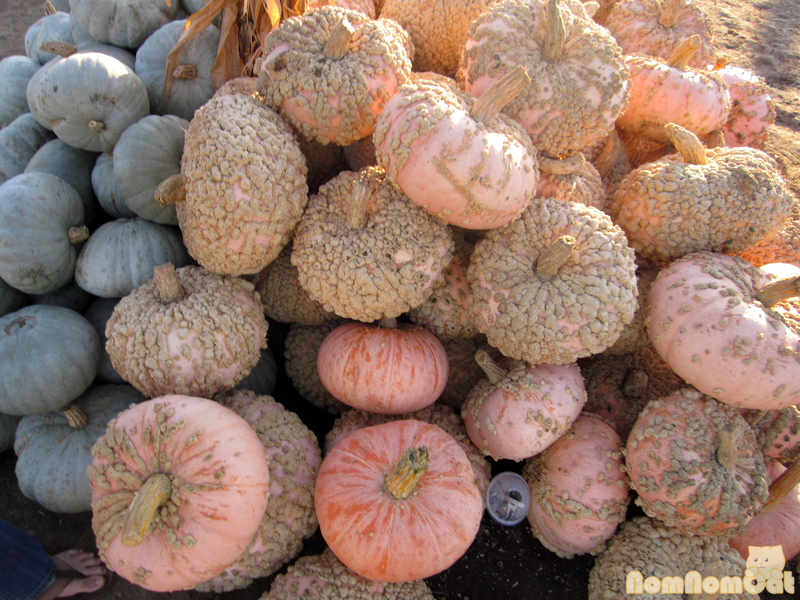 This strange looking pumpkin, known as a French Heirloom, is supposed to be one of the sweetest pumpkins and thus perfect for pie-making. We got some suggestions from Diana and can’t wait to break it open and try our hands at a homemade, straight-from-a-real-pumpkin pie (recipe to come)! It was at this point that our weekend adventure really did come to an end, but we came home with so many memories, new friends along the coast, inspiration for our food blog, and even new ingredients. Stay tuned for our upcoming recipes! fun! 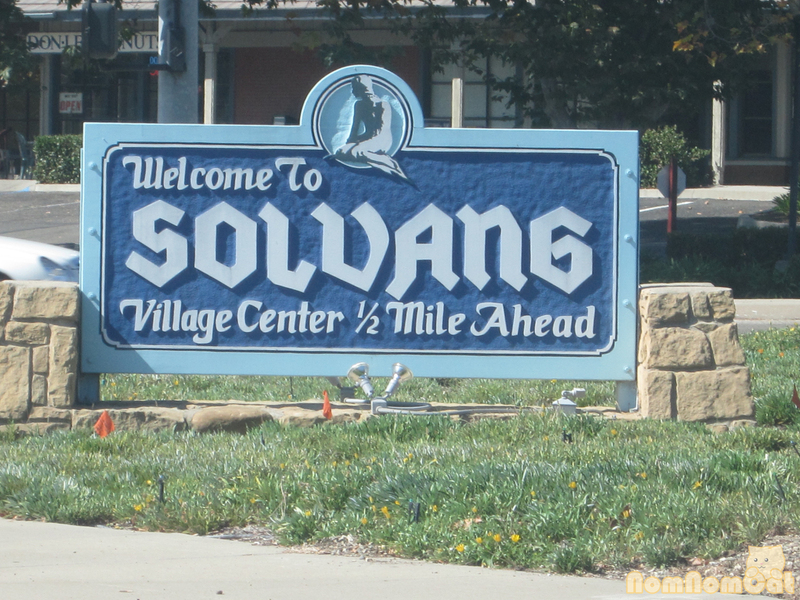 i have only been to solvang once, but it was too hot. i need to go this time of year!